You look so flashy, Donald! 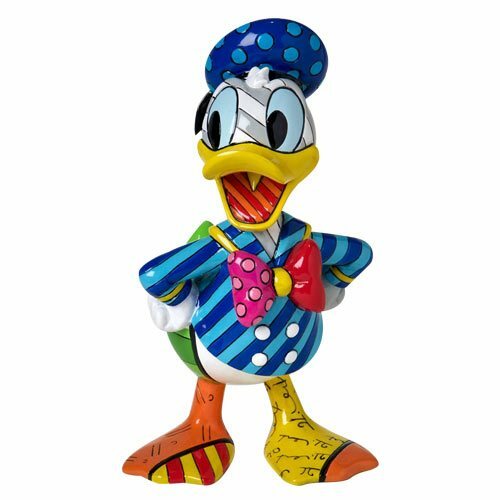 Donald Duck's signature sailor suit gets a pop-art makeover in this handcrafted Disney Donald Duck 7-Inch Statue by Romero Britto! Brighter blues and cheeky geometric patterns breathe new life into his classic duds, accented by an oversized bow and a double-breasted jacket. Donald poses good-naturedly, meticulously sculpted from stone resin and hand painted with a glossy top coat for an animated appearance.